This week I am featuring Mary Albright. Don't forget – if you or someone you know can help out the featured entrepreneur with their area of need (see question #4), be sure to leave a comment! Also, if you would like to be the next entrepreneur featured, learn how at the end of this post. Enjoy! I'd love to be able to teleport in space and time. I'm old school. One Vision by Queen. I'd love more opportunities to share my passions and ideas around business operations with other business owners. Being a guest on a podcast or webinar or being invited to speak to a group would be awesome. I feel LinkedIn is an underutilized social networking for business building. I am the Disney deal finder. If it's out there, I know where to find it. I'm Mary Albright. Business Operations Consultant. Accountability Strategist. I studied Engineering; so I'm trained to see systems and process. But I've been an entrepreneur most of my adult life, taking on challenges as they come. 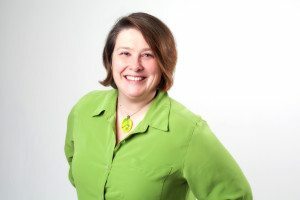 I help you connect the dots with your goals and create the strategies and tactical steps to meet those goals. I'm a MacGyver. I take in a situation and invent a solution that makes magic. Basically, I help you create process and operations to be more effective and efficient so you can grow and increase your income. And I'm just starting up offering accountability mastermind groups. I'm so excited to help other entrepreneurs meet their goals in this setting. 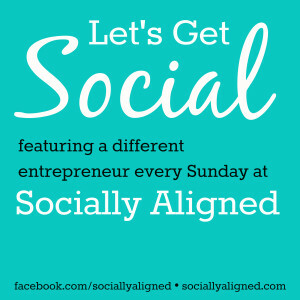 Julie – Thanks for the opportunity to be a guest on Socially Aligned. Happy to have you take part, Mary!